We've got music from the likes of Abra and Cousin Stizz, a few items to spend your money on, some beautiful art, and one hell of a performance from Stormzy. Belly Kids - the folks responsible for such classics as 'What Would Louis Do?' and 'Millhouse From Memory' - are back with something we're calling an 'Essential Christmas Purchase'. Wes Anderson Trump Cards are exactly what you'd expect them to be: Trump Cards based on the wonderful world of Wes Anderson. The 25-card set features the likes of Eli Cash, Margot Tenenbaum, Max Fischer, Steve Zissou, Alistair Hennessey, M.Gustave, Mr Fox, Ash, and Herman Blume, all illustrated by the talented Frank Conradie. Pro tip: if you head here, you can send them your money and in return, they'll send you the entire set. It's as simple as that. "Clean as Listerine when I pull up to the scene." 'Lace Up' is the first track from Cousin Stizz since the release of One Night Only, and was released as a placeholder of sorts until he finishes his current tour. If you don't end up playing this 42 times in a row, we'll need to sit down and have a serious talk. 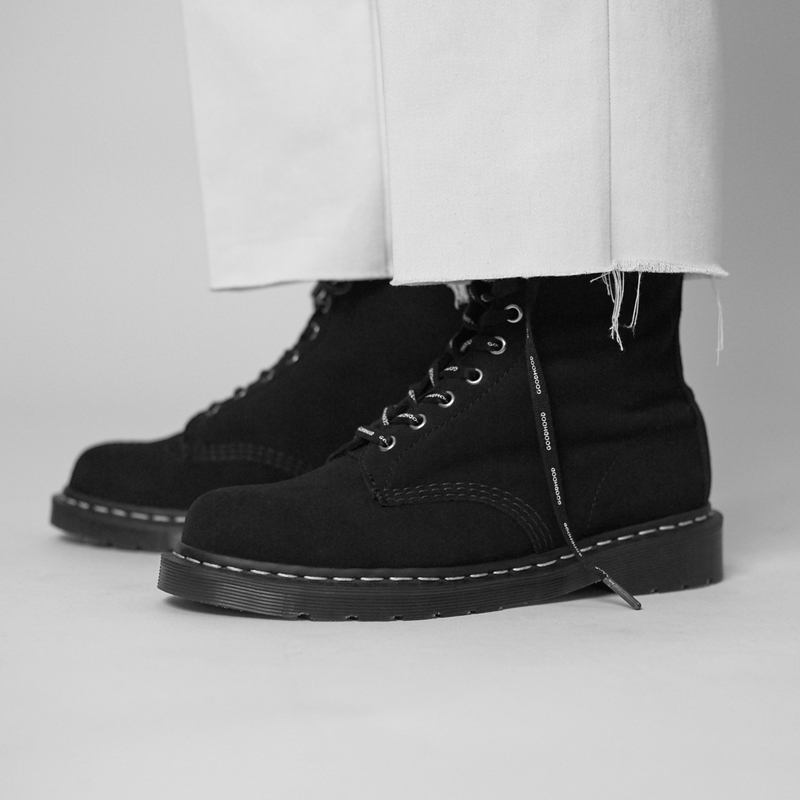 In celebration of Goodhood's 10th anniversary, the brand have teamed up with Dr. Martens to release these understated, yet beautiful fur-lined, black suede boots. You can grab a pair by heading here (£189). It seems as though Stormzy had a pretty decent weekend. Not only did he pick up the Best UK & Ireland Actgong at the MTV Europe Music Awards, but he also performed 'Big For Your Boots' (from Gang Signs & Prayer) as a sort of victory lap on one hell of a year. So damn good. We're a bit late on this one, but gold is gold. MarLuThaKang has recreated Michael Jackson's 'Thriller' using NBA 2K18, and yeah, the internet wins again. The mural heading up this article is by London-based British Ghanaian artist, Neequaye 'Dreph' Dsane. His current series, 'You Are Enough', finds the artist painting impressive murals of black women around London. We're in love. Find out more about the series by reading this fantastic interview on gal-dem. Abra is back with the follow-up to the excellent Novacane' from back in September. “LETS GET BACK TO HAVIN FUN WITH OUR ART," is what the artist had to say about 'Bacardi', and we couldn't agree more.